Livernois Yard was known as Junction Yard from the 1870's. Junction Yard grew and grew and various pieces of it gained their own names over time with Livernois Yard being parallel to Livernois Avenue, and what was later known as Junction Yard being farther west between the hump at Central Avenue and Wyoming Avenues. Livernois Yard was home for Michigan Central's terminal locomotive facilities and it had two very large roundhouses, coaling facilities and water facilities - along with other things like stock yards, car shops and later intermodal facilities. 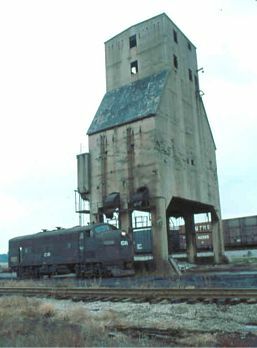 The coaling tower at Livernois Yard was one the the larger facilities built in the United States. 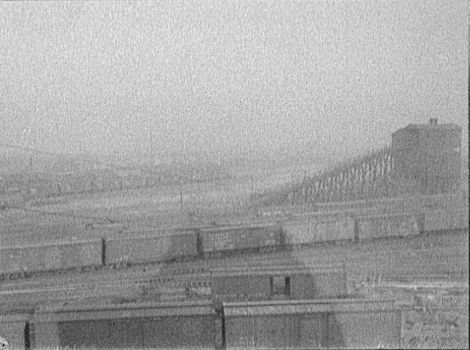 We have also included a very old photo of a wooden elevated coal bunker at Livernois Yard which likely preceeded the concrete version.